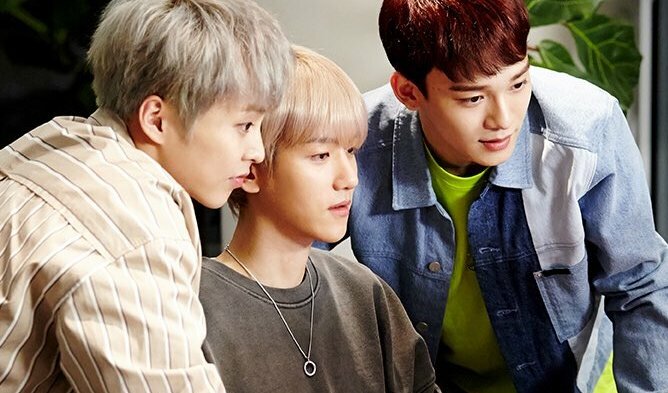 McDonald’s has a unique menu for each different region, and we want to reveal the McDonald’s signature menu for Korea! 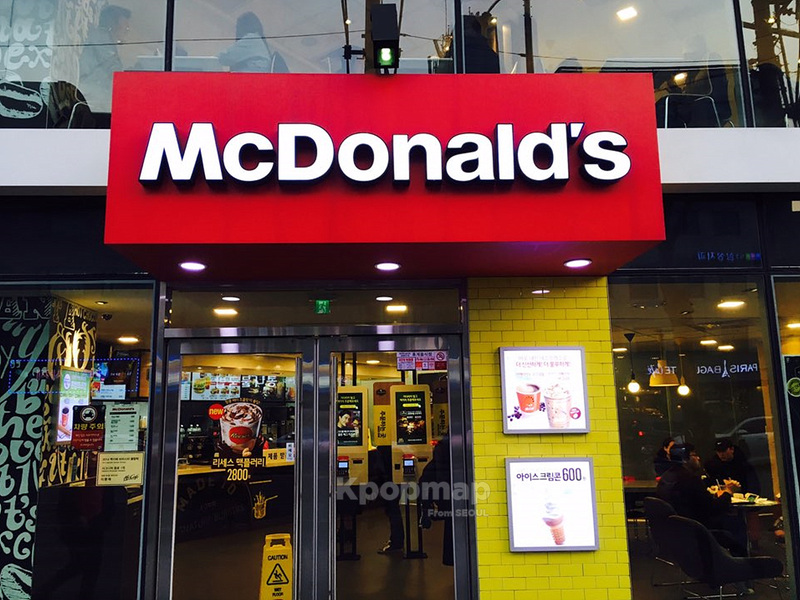 If anything, there’s always one same thing that can be found all over the world – McDonald’s! For over generations, the global fast food chain has brought menus around the world together with one main dish item, and that’s burgers.  But for those of you who don’t know, McDonald’s also keeps it local and fun by introducing certain menu items that can only be found in a certain region of the world. 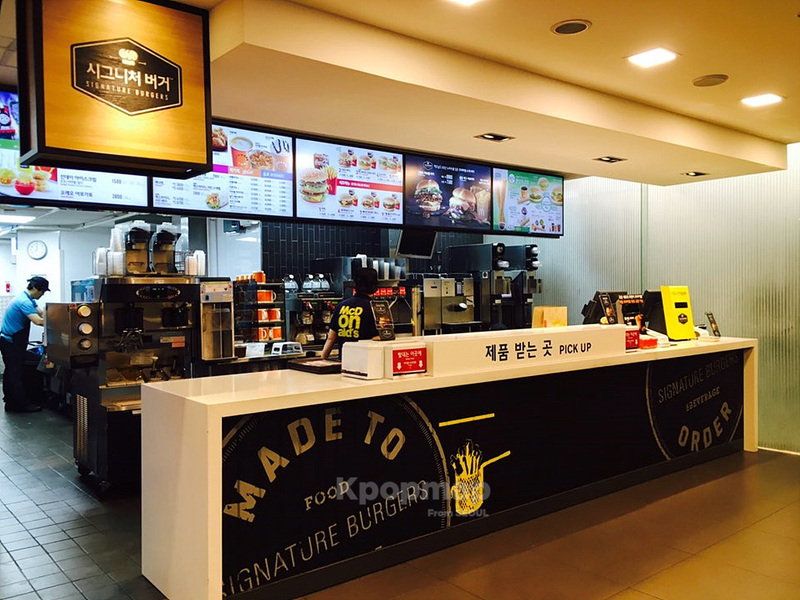 Well here’s one signature burger menu that can only be found in Korea! Good ol’ McDonald’s can be found anywhere at anytime. 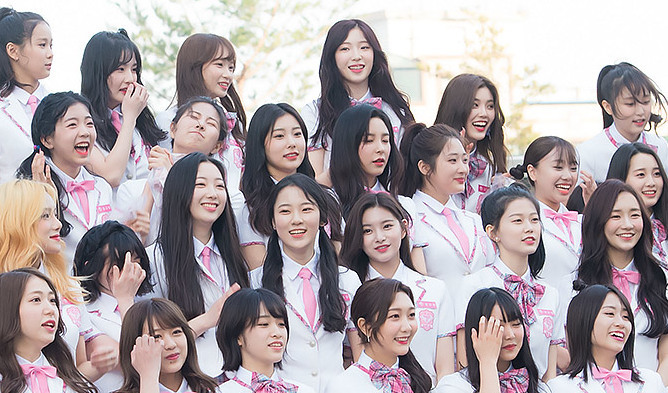 It’s basically the same in Korea as it is in any other major cities of the world. It’s got the signature logo dressed in red, yellow and white. 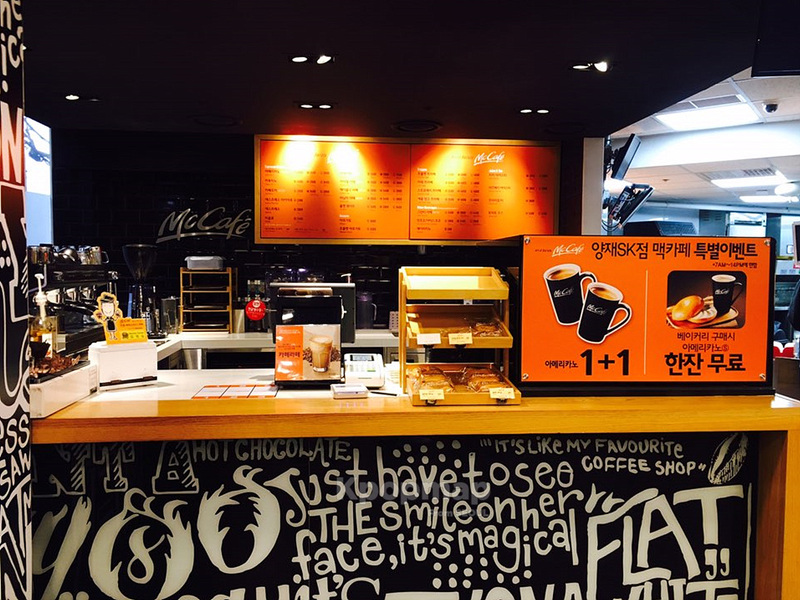 The store has an ordering station, a McCafe station and places for you to sit and enjoy your meal! 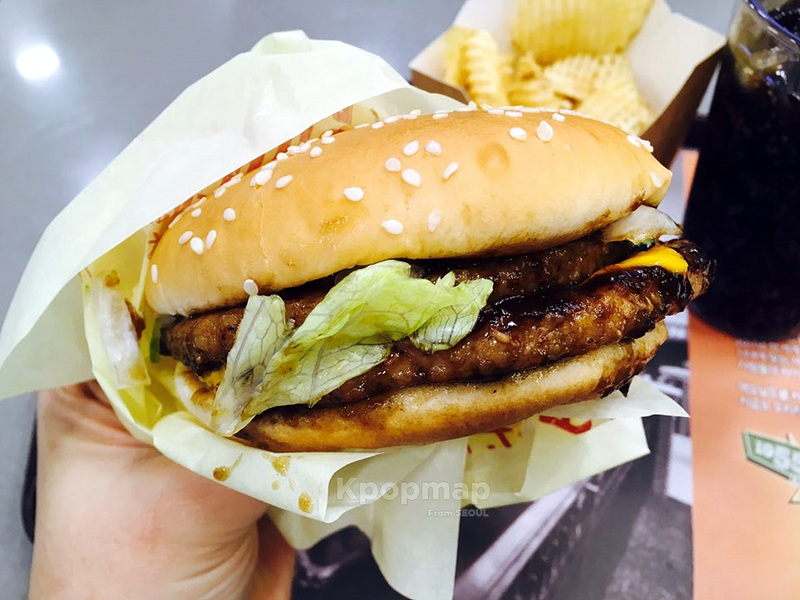 But have you ever tried McDonald’s Bulgogi Burger? Ya’ll know bulgogi – the traditional marinated BBQ meat in Korea. 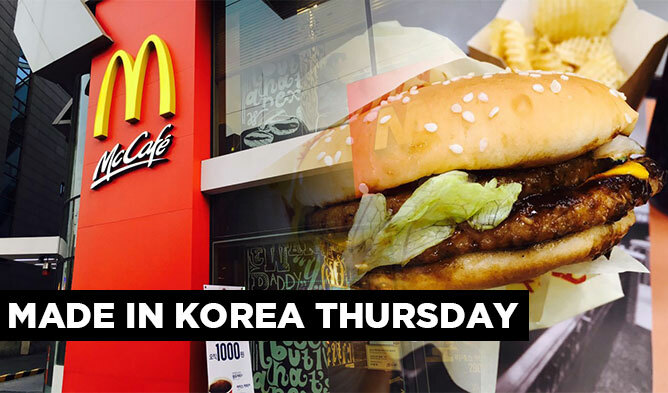 Just think of a beef patty covered in bulgogi sauce with lettuce and cheese as its compliments. Well we ordered the double patty, and it was a party in my mouth. To be honest, the visual was much less appetizing than the photos (but when are photos ever accurate?). But the kicking flavor of bulgogi mixed inside a burger will leave you satisfied and full in the perfect Korean-American fusion. We also opted out the traditional long fries for waffle cut. 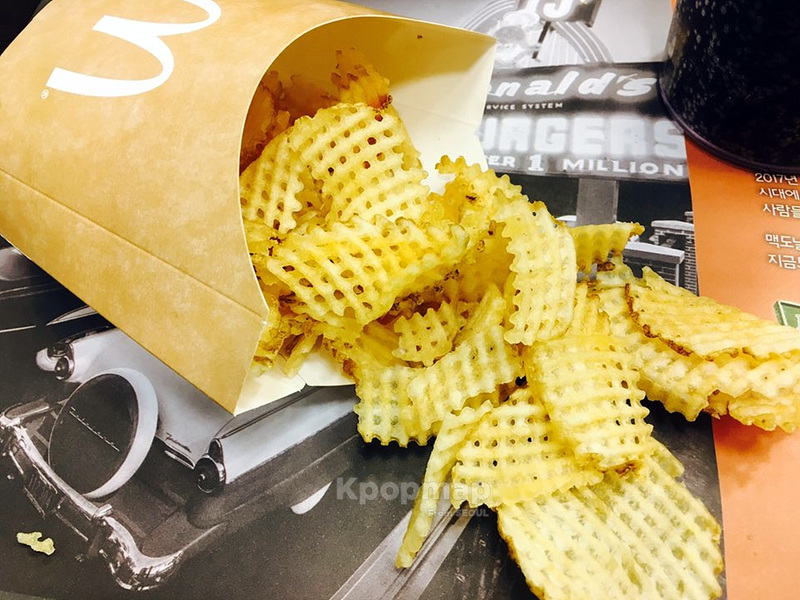 The new kinds of fries were a recent new introduction to McDonald’s Korea, and honestly, I can pass on these. They were too thin and too crunchy for my taste in waffle fries, and who can ever compete with Chik-Fil-A’s waffle fries anyway? Ya’ll know what they say – if it ain’t broke, don’t fix it. 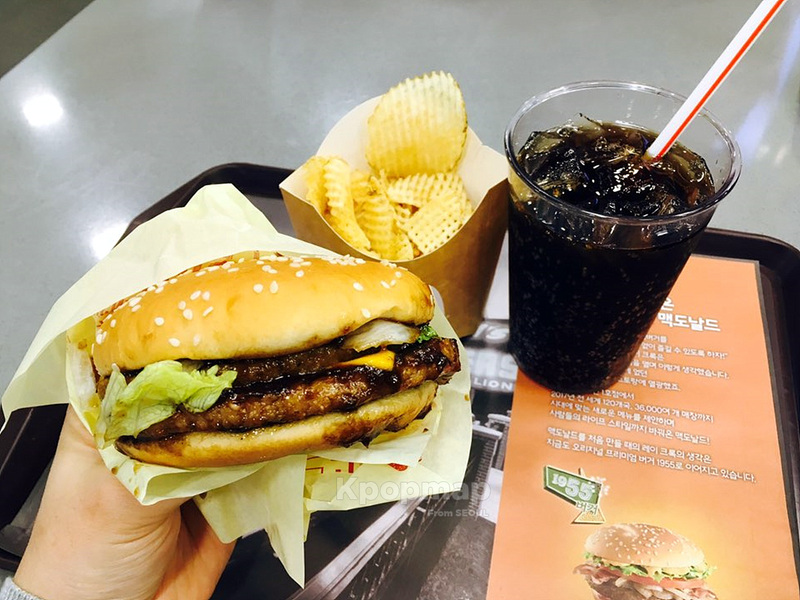 I wasn’t able to try it out this time, but McDonald’s Korea has what they call signature burger sets. Their premium line of handmade burgers are pricey, but they’re worth your while. 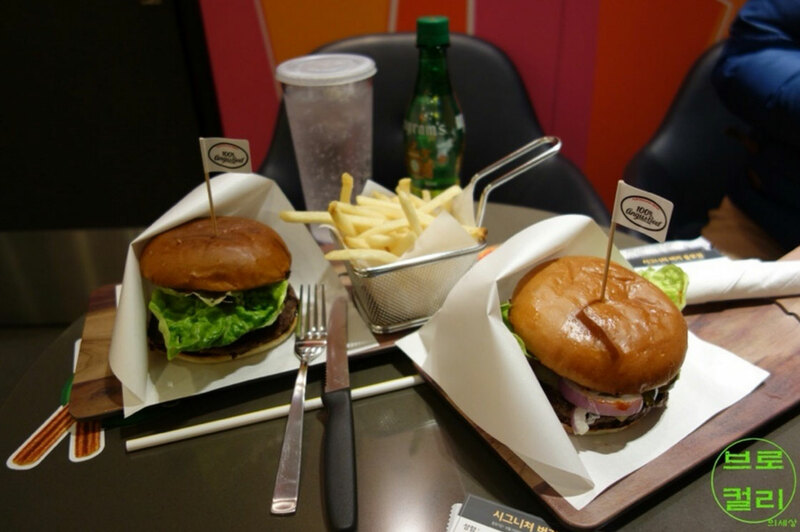 With better ingredients and fancy plating, make sure to give these Signature Burgers a try while you’re here! 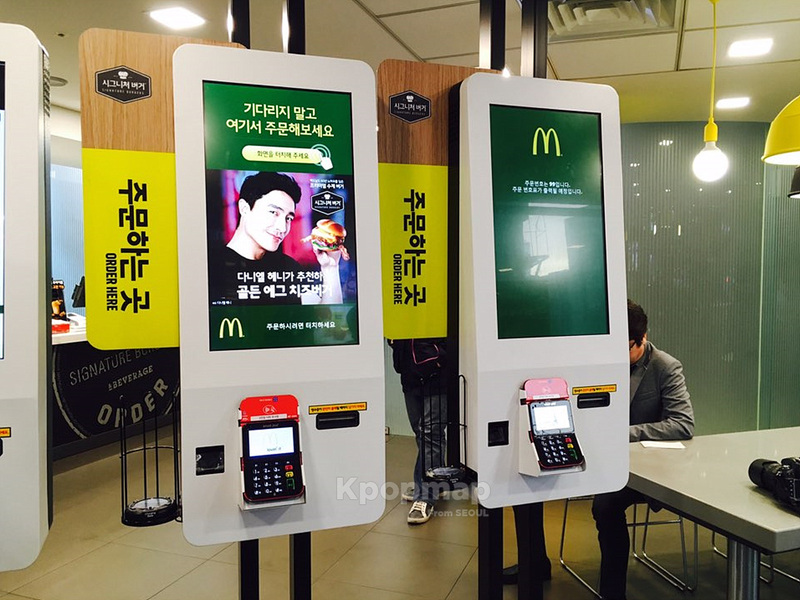 What makes McDonald’s Korea and their signature burgers even more special are the digital ordering stations. 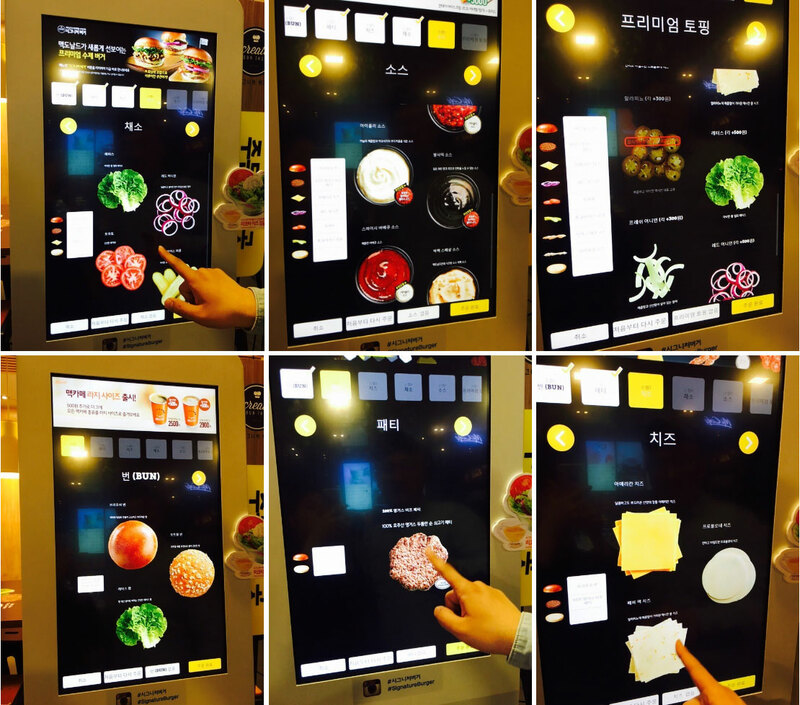 You can create your own order by pressing a few buttons on these screens. Basically, a savior to all of introverted mankind. You can choose and select your ingredients to create a personal Signature Burger too! The food’s great and the technology’s great. What next? 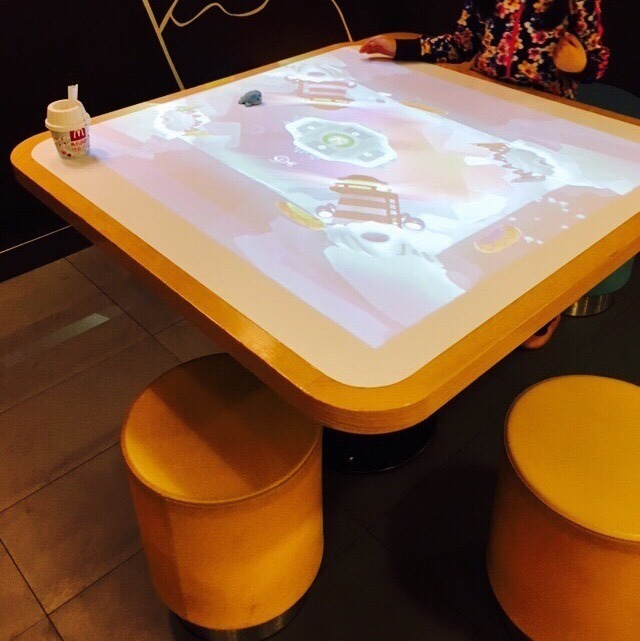 Did you know McDonald’s Korea takes Play Rooms to the next level? 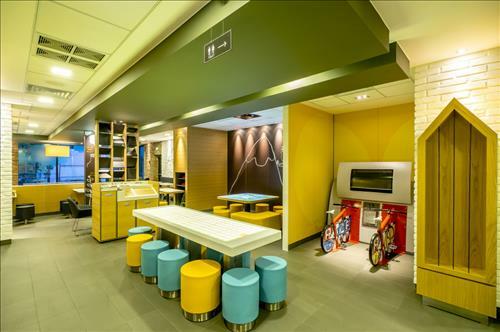 A branch in Suwon features a high tech play room for the kids to enjoy, while their parents take a breather. 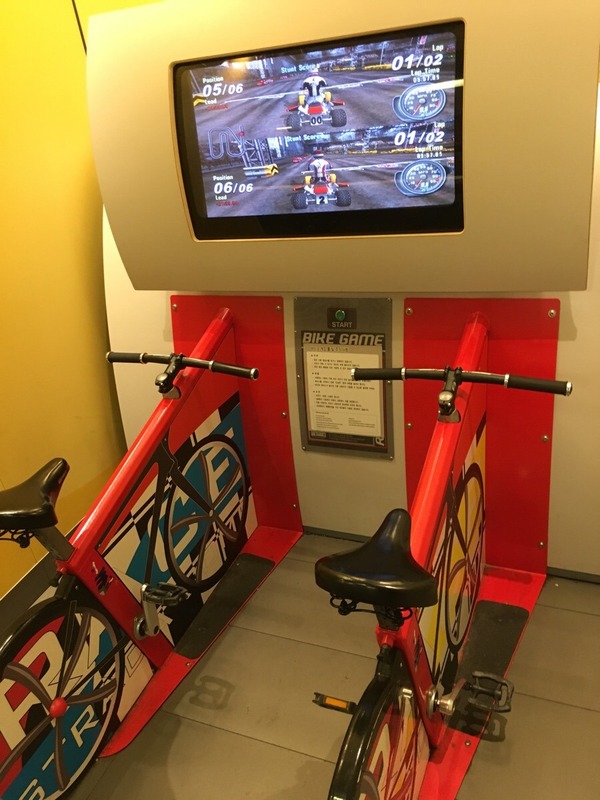 Instead of the traditional playgrounds found in the States, Suwon has digital bicycle games and a hologram touch play desk! Don’t feel like getting out to get your McDonald’s fix? 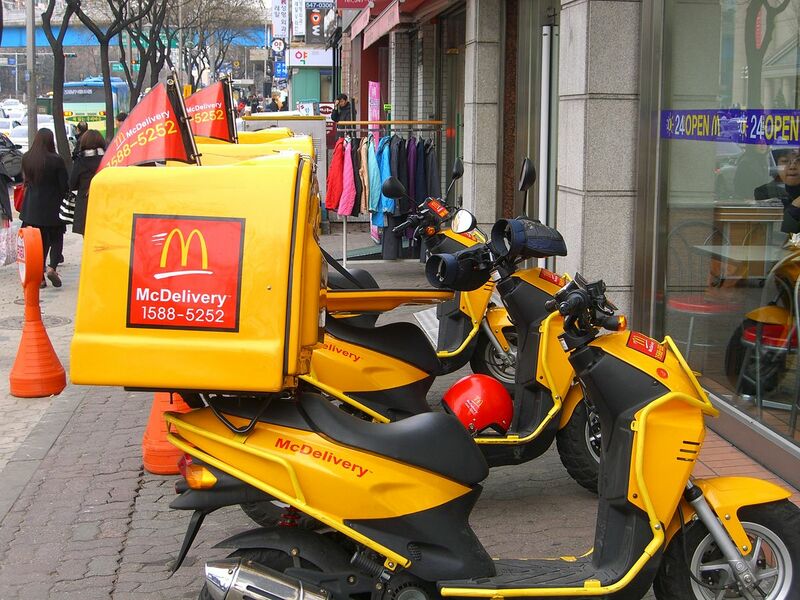 McDonald’s Korea was the first McDonald’s to ever start delivering. 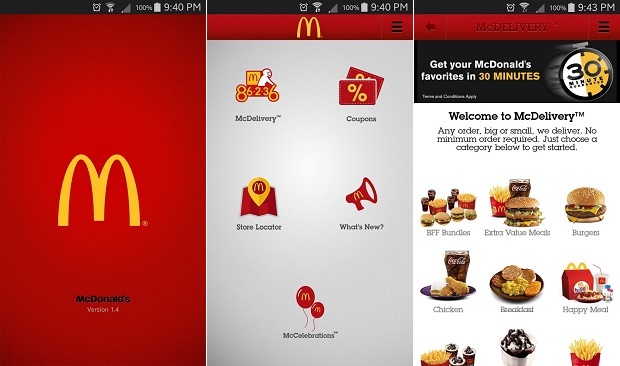 Called McDelivery, you can order your personal menu by phone, online or the McDelivery app and have them deliver your order within minutes! 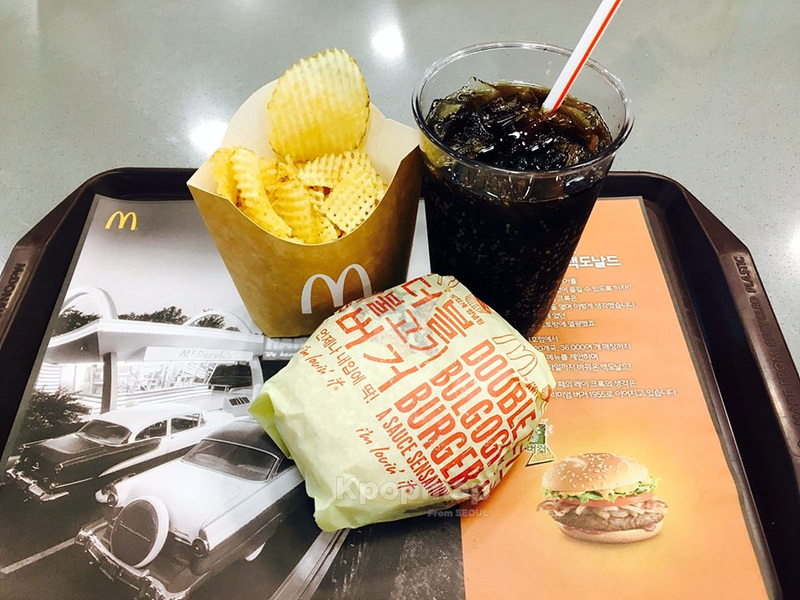 I’ll end my bragging about the amazing McDonald’s treats in Korea. What’re some of the unique menu treats in your neck of the woods?